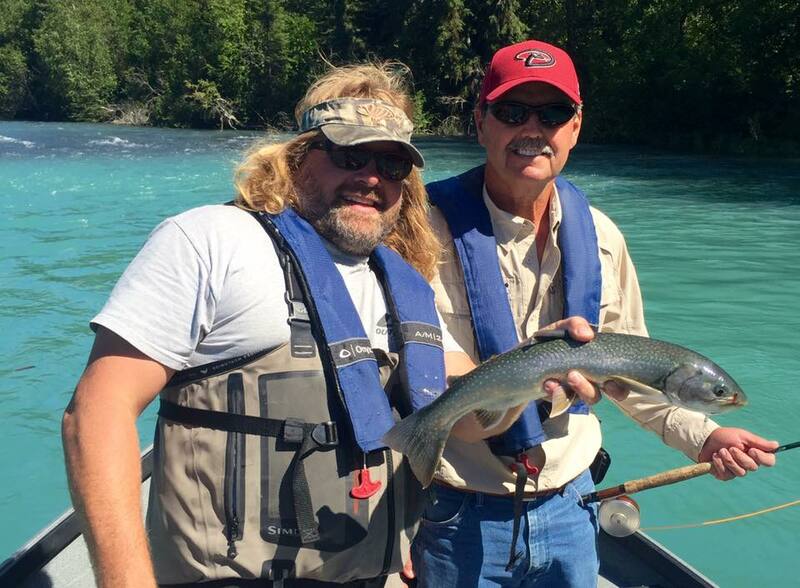 Jason Lesmeister, owner of Jason’s Guide Service, has 20 years of experience as an Alaskan fishing guide, ten of them on the Kenai River, so he is well qualified to help visiting anglers shorten the necessary learning curve for a successful trip. He has just launched his new website, www.JasonsGuideService.com.The website was redesigned from the ground up and now contains helpful information about the fish to be found in the Kenai River, the best season for each, and the services and equipment Lesmeister offers. Rainbow trout and Dolly Varden appeal to fishermen because they bite readily, put up an aggressive fight, and are plentiful all year. Red (sockeye) salmon, silver (coho) and other salmon species migrate up the Kenai River at certain times. Sockeye salmon peak from mid-July through the first week in August. Silver salmon fishing is best from the third week of August through the end of October. Lesmeister’s Kenai River guiding service provides all the equipment you might need, including custom built 20 foot drift boats, G. Loomis, Sage, Lamson and Shimano rods and reels, and all tackle and baits. They will also clean fish and offer other expertise necessary for a quality trip. Ice fishing the Kenai and surrounding lakes is also outstanding and Jason’s Guide Service is one of the few serious organizations serving this type of fishing and implement the latest technology to locate the fish and keep you warm on the ice. Jason is headquartered in Cooper Landing, Alaska, and covers the entire Kenai River resource – Kenai, Soldotna, Sterling, Skilak Lake, Kenai Lake, and the Cooper Landing Area. Fishermen are encouraged to bring their cameras so they can post photos of their catch with the others on the website’s “Braggin’ Board”. It is a good idea to make reservations for prime seasons as far in advance as possible. For more information, visit the website and send questions via the contact form or push the handy “Push to Call” button to initiate a direct call.